Medicine Buddha with the traditional thigse graph. I was thinking of sprintime, healing, new growth. 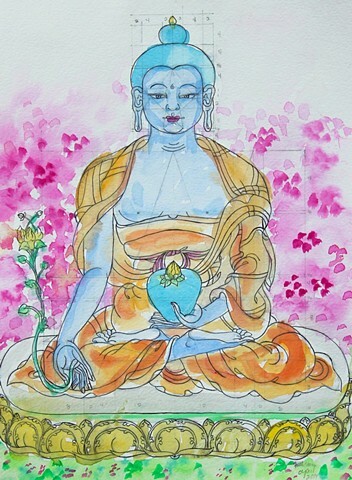 This was a study for the Dozen Healing Buddhas painting.